Mission - We envision a Wenatchee renowned for making education personal and a local culture that values learning and is committed to success for all. 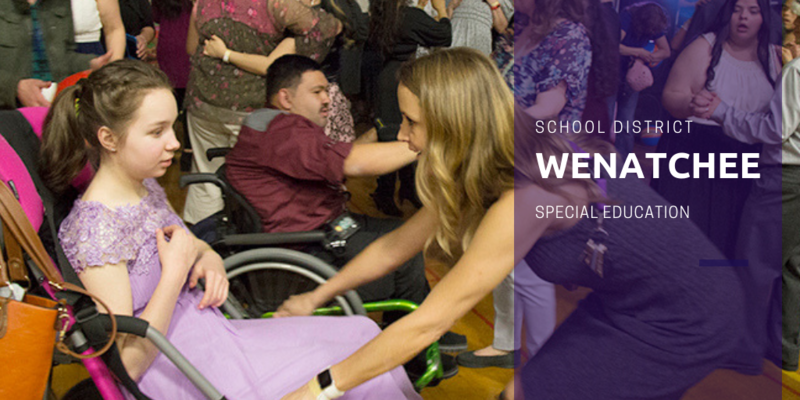 Special Education is a program-planning option that allows parents, educators, and students when appropriate, an opportunity to sit down and determine an Individualized Education Plan (IEP) which includes specially designed instruction to meet the needs of the student. Students in need of specialized education may be brought to the attention of the school district by parents or child care providers, educational staff, community agencies or other concerned individuals. Parents who wish to make their child (3 to 21) a "Focus of Concern" for special education may call Special Education directly at 663-7117.